Bitnami Cloud Hosting is offering a free developer account which will allow you to manage and host one free Amazon EC2 micro server instance for a full year at no charge. Included are the free usage tiers for Amazon S3, Amazon Elastic Block Store, Amazon Elastic Load Balancing, and Amazon Web Services data transfer. 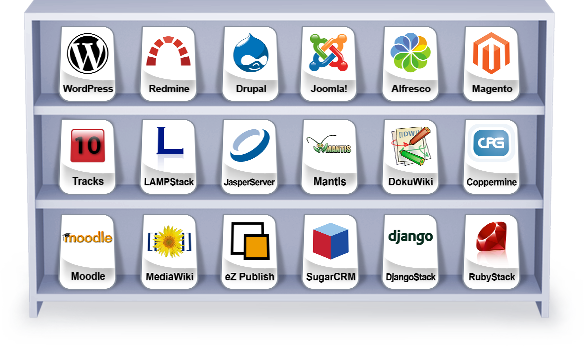 Translation: The Bitnami Cloud Hosting Management Portal coupled with Amazon EC2 Services enables fast and easy one click creation over 20 ready-to-run applications which include the most popular content management systems like WordPress, Joomla, and Drupal; customer relationship management systems including SugarCRM and the wiki environments DokuWiki and MediaWiki. 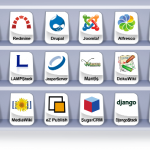 For a list of presently supported Apps available for deployment through the Bitnami Cloud Management Portal, click here. Need to run more than one Application? No problem. Bitnami Cloud Hosting makes it easy to install multiple applications on the same Amazon EC2 Server instance. Some major advantages of using the Bitnami Cloud Hosting Management Portall to manage Amazon EC2 are the Automated Backups as well as the One-Click Server Restore capabilities. Backup scheduling can be set to weekly, daily, or even hourly and it uses an incremental model to save on storage costs. Only changed data is added at each scheduled backup. Restoring a corrupted or damaged server to the time of the last backup takes only minutes. Although not an issue during use of the first year free period, Bitnami supports Server Scheduling to shut down and start up the Server instances that may not be in use after business hours thereby saving money by only running applications when needed. Bitnami and Amazon hope that the free first year trial users will upgrade to higher level paid accounts and to that end, Bitnami offers an excellent tool for estimating Cloud computing costs on Amazon both on a per hour and per month basis. Bitnami supports the ability to make “Templates” of specific configurations and customizations of Servers. This enables a quick spin-up of a copy of an existing server for new projects without having to start from scratch each time. Bitnami Cloud Hosting is independent of the Amazon Web Services account so if the Bitnami Managment Control Panel service is canceled, all existing Amazon Servers and Backups remain. To learn more about Bitnami Cloud Hosting Services, click here. To learn how to sign up for an Amazon Web Services Account to work with Bitnami Cloud Hosting, click here.